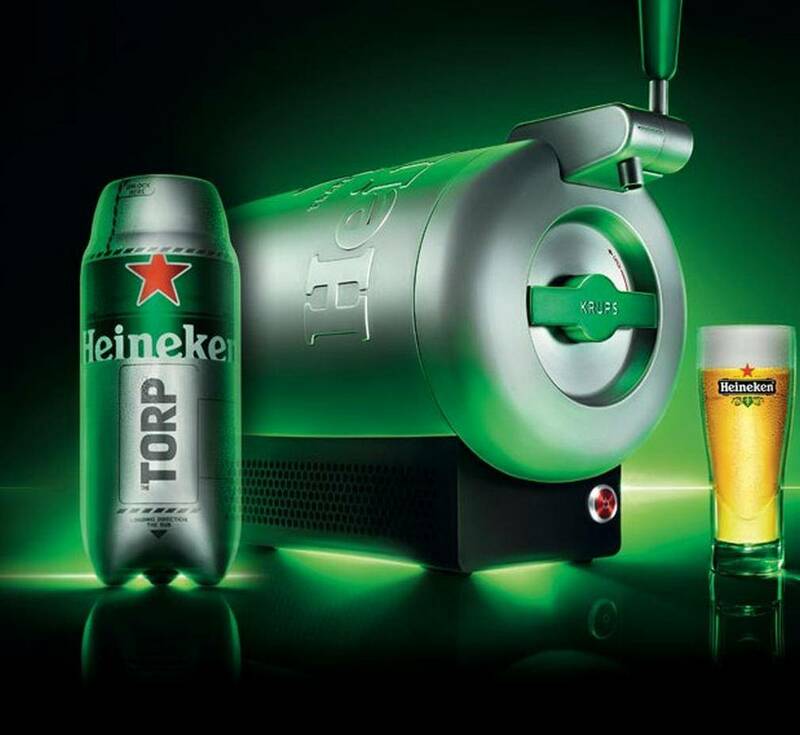 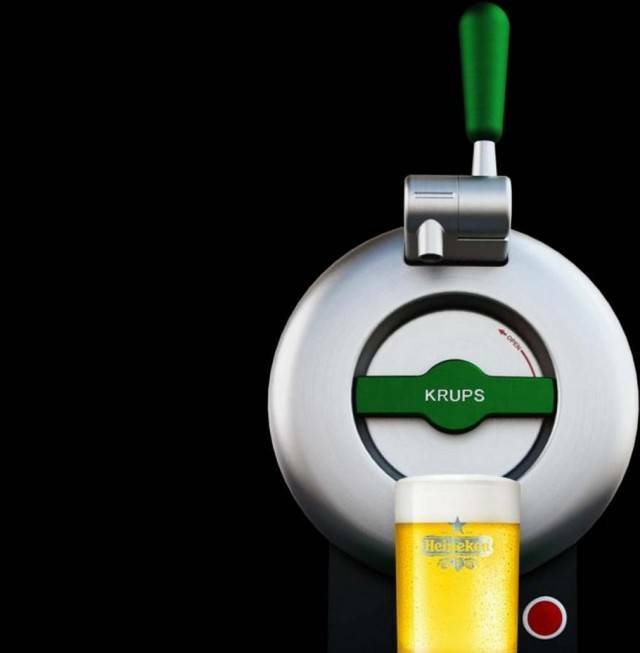 Sub beer dispenser by Heineken, in collaboration with Krups, for the at-home beer market, combines serious chill with compactness to sit on a home bar. 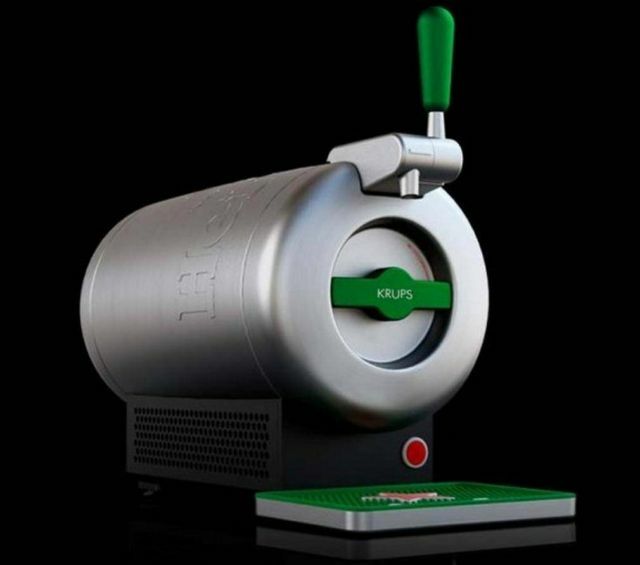 The Krups Heineken Sub designed by Marc Newson and engineered by Krups, features aluminum body weighing 6.8 kg and is 412 x 503 mm , uses a proprietary mini-keg. 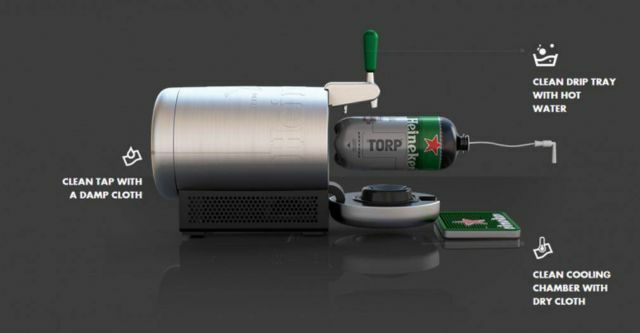 Part beer cooler, part draft pouring machine, the brew is chilled to 2º C.
Is available in a range of beer varieties.